The unexpected firing of a high-profile investigator looking into potential political malfeasance connected to the White House, followed by a visit by Henry Kissinger to the Oval Office. No, this is not October 1973. President Trump's decision to fire James Comey as FBI director Tuesday instantly drew comparisons to President Richard Nixon and the 1970s Watergate scandal. Trump's move, to fire an official who reportedly asked just the day before for more money and resources to look into Russian interference in the 2016 presidential election, parallels a very specific moment in Nixon's presidency that became known as the Saturday Night Massacre, experts say. In the fall of 1973, Archibald Cox was working as the special prosecutor for the Watergate investigation. As part of his investigation, he asked for access to the thousands of hours of recordings Nixon made in the White House and elsewhere. 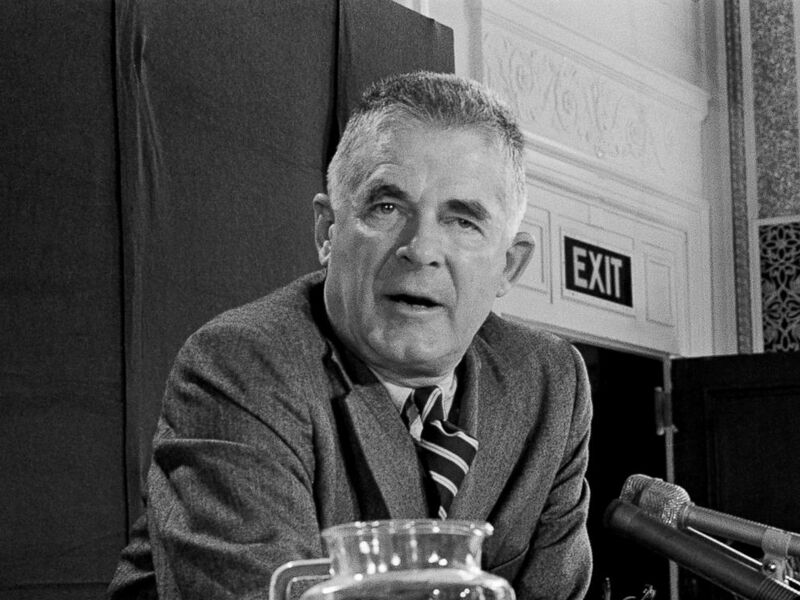 Special Prosecutor Archibald Cox at a news conference, Oct. 20, 1973, in Washington. "Cox had made it clear that he wanted those tapes to determine what Nixon knew and when he knew it, and Nixon in October had been resisting turning over the tapes," David Greenberg, a professor of history and journalism and media studies at Rutgers University in New Jersey, told ABC News. "So, finally, he decided to have Cox fired, hoping this would put an end to the demand for these tapes. Of course, it didn't quite work out that way." Nixon gave the order to fire Cox on Saturday, Oct. 20, 1973. Nixon's Attorney General Elliot L. Richardson and Deputy Attorney General William Ruckelshaus resigned rather than carry out the order. Solicitor General Robert Bork was named acting attorney general and fired Cox. 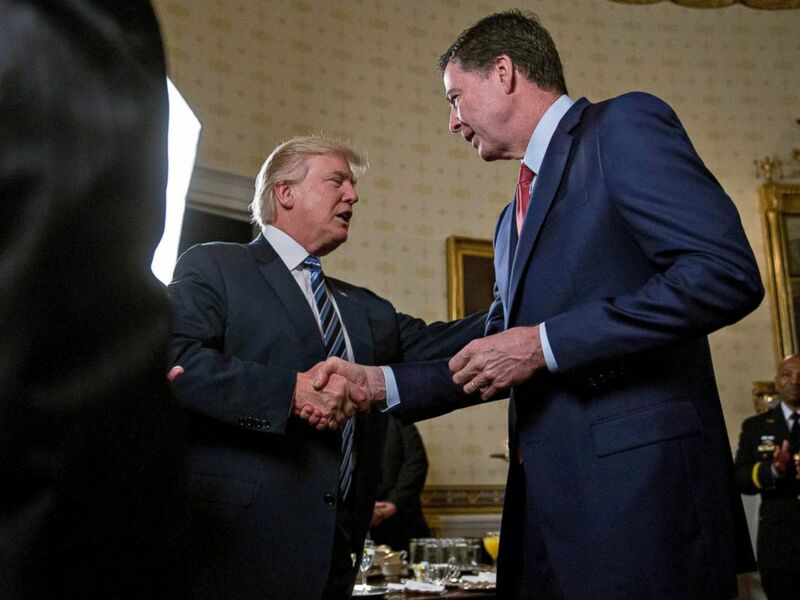 President Donald Trump shakes hands with James Comey, director of the Federal Bureau of Investigation, during an Inaugural Law Enforcement Officers and First Responders Reception in the Blue Room of the White House, Jan. 22, 2017, in Washington. "Bork agrees to fire Cox and then, also at the White House's orders, a couple days later says that the office of the special prosecutor will be abolished," Greenberg said. "But there's too much pushback from the public, from the press and from Congress, and within a matter of days, Congress is insisting on a new special prosecutor." More than four decades later, there are interesting similarities — and differences — between Trump's decision to fire Comey and Nixon's decision to fire Cox, according to Luke Nichter, an associate professor of history at Texas A&M University who has studied the 3,451 hours of Nixon tapes. "The most important similarities are in the details — the fact that an unpopular Republican president has fired a top investigator who was looking into potential crimes or malfeasance that the president was involved," Nichter told ABC News. Democrats have been quick to condemn Trump's decision to fire Comey. But Nichter said the immediate backlash Nixon faced for firing Cox was far worse than what Trump is facing, which could change as more becomes known about Trump's possible involvement. "The firing of Cox ... really put the foot on the gas pedal in terms of moving more aggressively toward impeachment hearings that ultimately ended Nixon's presidency less than a year later," Nichter said. "I think with Trump, we don't have similar kinds of bipartisan calls of concern." "The Republicans in 1973 were really a different party," he said. "Although there were plenty of die-hard partisans, there were others who were statesmanlike and who turned on Nixon and broke with Nixon. These people demanded a special prosecutor and came out for impeachment. These weren't just the moderate Republicans. These were also conservative Republicans." President Richard Nixon holds a press conference. There are other important differences between the firings as well. Karen Greenberg, the director of the Center for National Security at Fordham Law School in New York, points to Richardson's decision to resign rather than carry out the order, while today's Attorney General Jeff Sessions supported Trump's move, although he is not supposed to be involved in the investigation because of his previously undisclosed meetings with the Russian ambassador to the U.S.
"At this point, abuse of power and obstruction of justice are the main issues, and it's important to point out that each one raises many other subsidiary issues," she said. "One in particular is how Sessions could be a part of this firing when supposedly he recused himself from any participation in the investigation into the election." 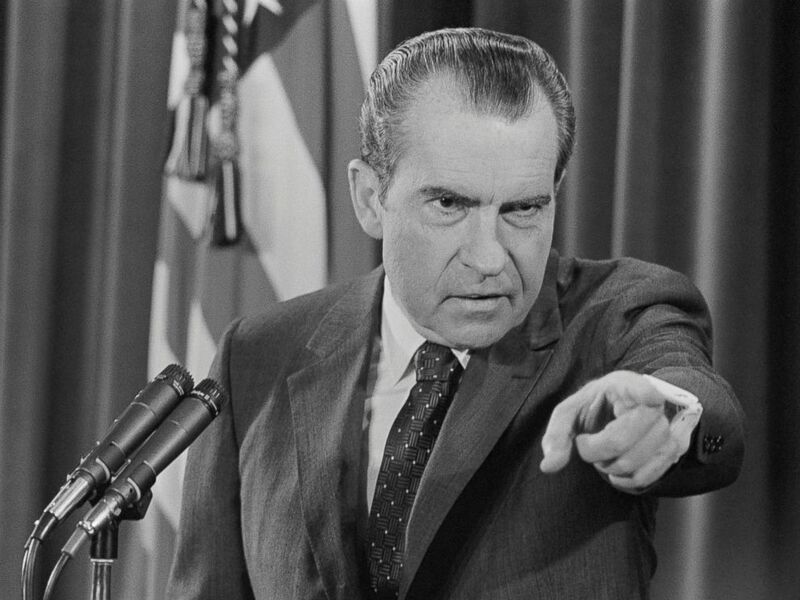 Additionally, in Nixon's firing of Cox — a special prosecutor who was selected with a fair amount of bipartisan support to investigate Watergate — Nixon was clearly interfering, Nichter said. Until more is known about what the FBI finds in terms of Trump and his team's ties to alleged Russian interference in the election, his motivation is less clear. "With Comey, it's a little different, because we don't have all the facts yet," Nichter said. "We can have another big headline here today, tomorrow, the next day. "Trump still has some degree of plausible deniability because we don't know all the facts regarding Russia and their involvement in the election. The veneer that Nixon could hide behind in the fall of 1973 when Cox was fired was much smaller and narrower. He had no plausible deniability." But the backlash is far from over, analysts said. "The optics are hard to overcome, especially given Trump's Twitter feed, the attacks on accusers and his meeting with Russian officials that excluded the U.S. press," Karen Greenberg said. Kissinger, a secretary of state under Nixon, met with Trump today. Trump said the meeting focused on Russia, Syria and "various other matters," calling Kissinger a "friend for a long time." Kissinger, now 93, was one of Nixon's closest advisers and met with him after the Saturday Night Massacre. 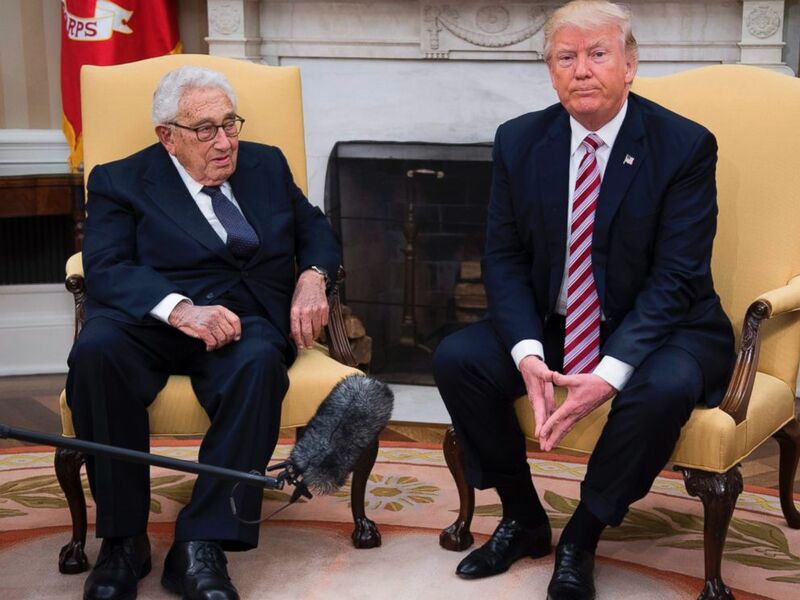 US President Donald Trump speaks with former Secretary of State Henry Kissinger during a meeting in the Oval Office of the White House in Washington, May 10, 2017. "I don't think we can read too much into that, but it would be interesting if they were consulting him on troubleshooting, in which case, Kissinger wouldn't be the first person I would turn to," David Greenberg said. Trump has not shied away from comparisons to Nixon. In 2016 he proudly shared with Fox News a letter to him that Nixon wrote in 1987 urging him to run for office. Roger Stone, a Republican operative and longtime Trump ally, cut his teeth working for Nixon, David Greenberg said. "Nixon is the figure that embodies the anything-goes style of politics that Watergate was really known for, and Trump seems to openly admire that style of political behavior," Greenberg added. At least one former Nixon administration official, his then-counsel, John W. Dean, has cautioned Trump to learn from Nixon's mistakes. Dean — who was charged with obstruction of justice, served four months in prison and eventually became a key witness for the prosecution in the Watergate scandal — previously tweeted at Trump, "Cover-ups don't get easier as they proceed." Hey Donald, a tip: Cover-ups don't get easier as they proceed. Russia tie leaks drown your joint session speech in less than 24 hrs. While the conclusions of the FBI's investigation into Russian interference will not be known for some time, Nichter said, one thing is for certain: There is a similar mood this spring as there was that fall more than 40 years ago. "Just when we think we can see around the corner and know what's coming next, we're shocked by another headline," he said. He added, "That's the same kind of sense of fear, exhilaration, surprise, disgust that I think captures how people feel today and as they did during the early 1970s."